Excerpt from a sound performance "600 Notes" by Marianna Maruyama and Andrius Arutiunian Between 1958 and 1965, the Dutch artist and composer Sedje Hémon kept a chronologically ordered (but not dated) record of 600 numbered notes tracing the development of her method of integrating visual art and music such that music could be “extracted” from visual artwork. Keeping these notes in such a methodical, controlled manner was a way of reclaiming agency within her artistic process and life. 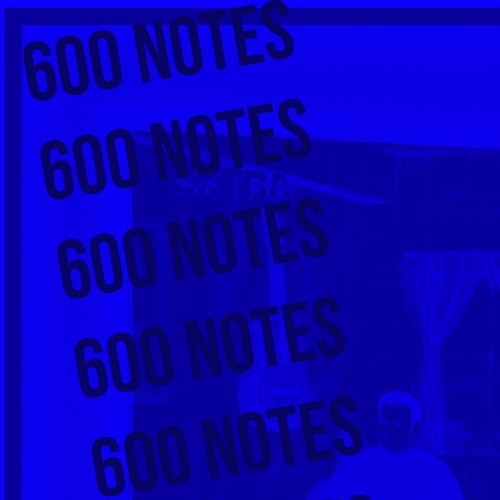 600 Notes is a collection of 600 performed “notes”—actual written notes, musical notes, audio notes, and other plays on the meaning of the word. Between the two of us and the people (audience) present, we will perform our notes in a multimedia performance with live and recorded sound, gesture, image, and voice. These notes fascinate us because of their idiosyncratic methodology—they are a mélange of Hémon’s carefully observed plans and discoveries together with personal encounters of whom she met, artistic influences, and private reflections. Taking her notes as a form, this performance is our way of making new work from our own artistic perspectives while re-contextualizing her work for audiences today. http://www.documenta14.de/en/calendar/24127/600-notes This performance is partly made possible through financial support from the Mondriaan Fund and Stroom Den Haag.